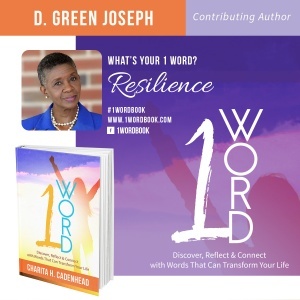 CLICK HERE TO ORDER YOUR AUTOGRAPHED COPY OF THE 1 WORD BOOK FEATURING CO-AUTHOR D. GREEN JOSEPH: 1 Word: Discover, Reflect & Connect With Words That Will Transform Your Life. All orders from this page will be personally autographed by me, D. Green Joseph. 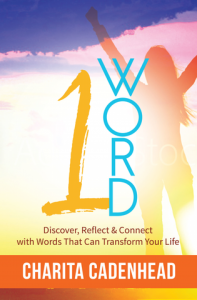 ABOUT THE AUTHOR: Denise G. Joseph discovered the love of writing in high school and has been inspired to convey humor, encouragement, and life experiences through the written word ever since. Joseph is currently a blogger on Renew, Refresh, Reset blog post, LinkedIn and past contributing writer for The Faith Connection and Pure Heart magazines. She is often called upon to compose and edit resumes, cover letters, speeches, and consumer/administrative correspondences. She is a native Washingtonian (DC) now living in Birmingham, AL and is the Managing Partner of Let’s Go Solutions, LLC (your single source for innovative personal & professional space updates, restyling and repurposing). Her other passions involve giving back to the community through the Coach Reginald S. Joseph Memorial Scholarship at Fatima Elementary/Middle School, volunteer work with Women Under Construction/At Home with Shellie Foundation and other Birmingham non-profits and churches ministries. Of all the accomplishments – the one she is most proud of is that of mother! She has one daughter who is the topic and inspiration for several of her articles. Joseph graduated from Clark Atlanta University (Atlanta, GA), with a degree in journalism and is an active member of 45th Street Baptist Church. In her leisure Joseph enjoys staying abreast of decorating trends/colors, traveling, experiencing local entertainment venues (restaurants, jazz concerts, plays, art exhibits) and hosting intimate informal gatherings at her home.